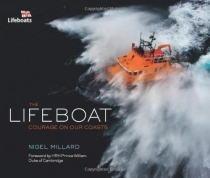 The Royal National Lifeboat Institution is the charity that saves lives at sea. For nearly two hundred years its volunteers have shown courage and selflessness in facing storm and shipwreck to offer assistance. Never taken for granted, these qualities of service transcend the centuries to ring as true now as in the earliest days of the lifeboats. This unprecedented new book is a photographic celebration of every-day bravery, compassion, and outstanding commitment in the toughest of conditions. From the Cornish coasts to the Shetland Isles, we join crewman and photographer Nigel Millard as he travels the length of Britain and Ireland, living and working with his fellow lifeboatmen and accompanying them on their rescue missions. In 2011 alone some 7,976 people were saved by lifeboat crews and a further 17,670 were assisted by the service's new lifeguard units, with lifeboats launching on average almost 20 times a day.